Інструкція по догляду та обслуговуванню – ПрАТ "Дніпровуд"
Since inception our goal was to create a flooring solution that was truly different. Our flooring is easy to maintain, durable and above all else: a healthy, responsible choice in hardwood flooring. Following our step-by-step maintenance guidelines will ensure optimal results and longevity of the product. It is important to note that oiled and UV-cured floors will undergo a change in color/slight fading as it adjusts to the ambient light conditions of the installation environment. The degree of color change will vary on the specific environment and exposure to direct sunlight. It is recommended to use window treatments when possible. Do not place area rugs on the new floor for sixty days after installation. Thereafter, periodic re-arrangement of furniture and area rugs will ensure that your floor ages evenly. Maintaining the temperature and relative humidity of the spaces the flooring is installed is very important. We recommend a temperature of 18-24C (65-75F) and humidity at 40-60% at all times. Very dry climates may also require the use of a humidifier. Hardwood flooring reacts to changes in the environment. Excessive heat or dryness can result in gapping or splitting; excessive humidity can result in cupping. Gapping, splitting, cupping or other problems resulting from exposure to improper environmental conditions are not covered by the product warranty. If the floor is installed over a radiant heating system, never allow the surface temperature of the floor to exceed 27C (82F). Avoid dramatic temperature changes; always adjust the system gradually in 5c increments. It is recommended that a dedicated quick recovery thermostat be installed to allow the temperature of the radiant heating system to be accurately controlled. ALWAYS protect your natural oil/UV-cured floors during construction. We recommend covering the floors with a hardboard, paper or cardboard. Do not use tape to secure protection directly on wood floor. For best results, vacuum the floors thoroughly to remove any debris that may scratch the floor once the protective surface is in place. Once the construction is complete, remove the protective surface! Vacuum the floor areas thoroughly with a soft bristle brush. Liberally apply LOBA® Parkett Oil on the surface of your floors with a terry cloth mop or beige buffing pad. For best results, apply the product evenly by hand or buffing machine. **All smooth, non-wirebrushed surfaces will require a final coat of natural oil. Please speak to your representative or retailer for details. Leave product to dry for at least 2 hours before resuming regular traffic in this area. Vacuum the floor areas thoroughly with a soft bristle Alternatively, you can use a broom to sweep the surface. It is important to keep your floor clean and free of dust, sand and other abrasive materials. 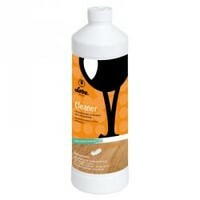 Apply LOBA® Hardwood Floor Cleaner to terrycloth mop head and wipe the surface of your We do not recommend spraying the product directly onto the floor or substituting the LOBA® Hardwood Floor Cleaner with any other brand of hardwood flooring cleaner. Allow for the product to dry before resuming regular traffic in this. 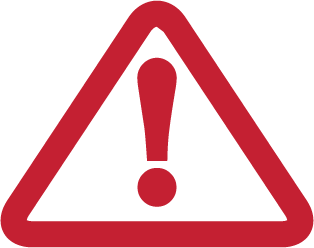 DO NOT USE ANY HOUSEHOLD CLEANERS, OILS, SOAPS, WAXES OR ANY ABRASIVE MATERIALS OR SCOURING AGENTS ON THE FLOOR! We recommend re-applying the LOBA® Parkett Oil when you notice your floors looking dull. This is generally once a year. Follow the “After Installation” instructions for this procedure. You can also apply LOBA® Parket Oil to rejuvenate your floors. 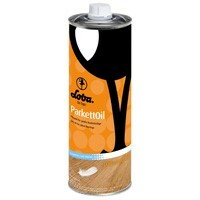 Apply LOBA® Parket Oil using a cotton or terry cloth Do not apply force during this process. Allow the oil to be absorbed. For best results, leave product to dry for at least 4 hours before resuming regular traffic in this area. Our natural oil and UV-cured finishes are designed to penetrate the woods surface and essentially dry and harden within the wood grain. This type of finish allows for easy stain and scratch repairs. Once area is completely dry, apply appropriate impact oil to Please consult with dealer for proper color selection and methods. Once area is completely dry, apply LOBA® Parkett Oil to Rub the affected area lightly using a white cotton cloth. Please contact your dealer or retailer for specific instructions. Once area is completely dry, touch up area with corresponding touch-up Please consult with dealer for proper color selection. PLEASE NOTE: All touch ups to a UV-cured floor will be slightly more visible than floors finished with natural oils. This is due to the fact that the wood grain is semi-closed. Put felt protector pads on the feet of all furniture, display stands, file cabinets and other accessories that will be placed directly onto the floor Inspect regularly for wear and replace as necessary. Pets’ nails will scratch and mark the floor Keep pets’ nails trimmed to minimize damage to the surface. FAILURE TO FOLLOW THESE FLOOR CARE INSTRUCTIONS MAY VOID THE WARRANTY! Dniprowood © 2016 All Rights Reserved.